Would you like to attend this month's Parent INcouragement night? Looking for a place to meet other parents who are on the same journey as you? 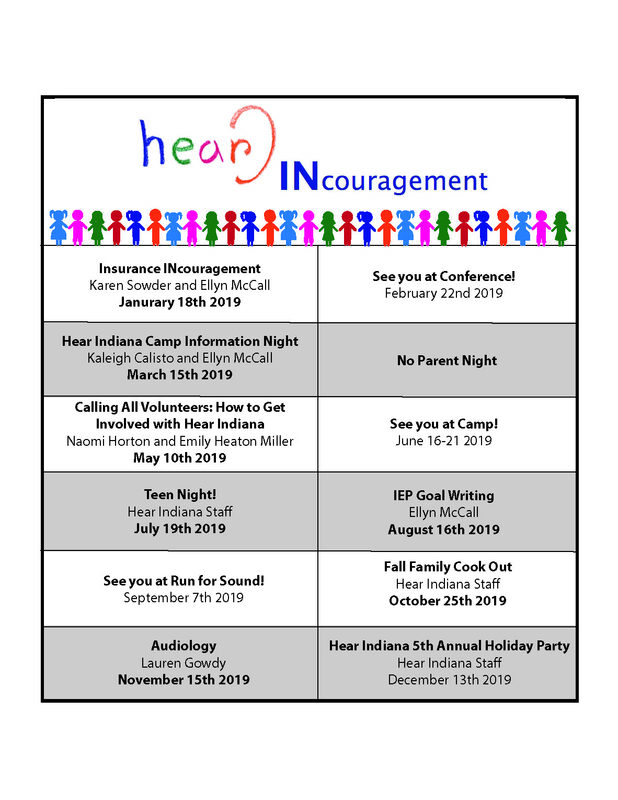 Hear Indiana's INcouragement Night was designed to give parents of children who have a hearing loss a safe and encouraging place to learn about valuable topics and share about their experiences. INcouragement Nights take place on the third Friday of every month from 6:00 p.m. to 8:30 p.m. 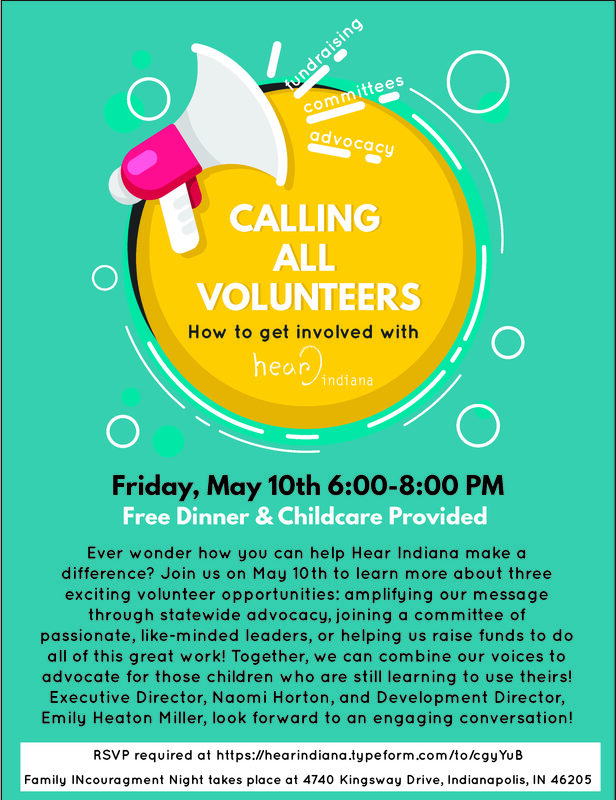 Hear Indiana provides child care and dinner at all Parent INcouragement Nights. Check out our upcoming Parent INCouragement Nights below!